New RealFlight 7.5 Update N Available - And It's FREE! Home » Industry News » New RealFlight 7.5 Update N Available – And It’s FREE! 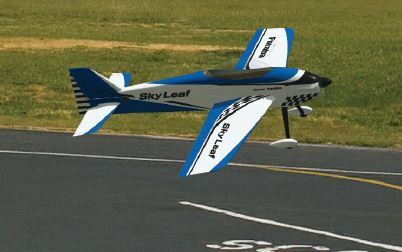 pilots have the option to compare Sky Leaf performance with glow or brushless power, and change colors, wingspan or virtually anything else with point and click ease. Best of all, RealFlight 7.5 owners can enjoy the Sky Leaf free by downloading Update N from the RealFlight Launcher. And if owners have their copy set to check for updates, Update N will automatically download the next time RealFlight 7.5 boots up. 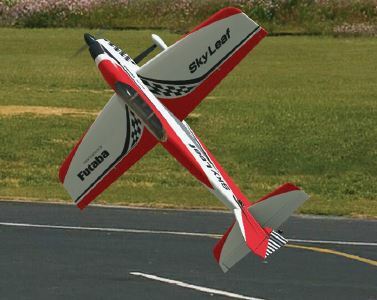 Update N for RealFlight 7.5 offers registered owners the chance to fly the first Futaba airplane ever introduced. RF7.5 owners will be able to download it free in early May.